There are groups and societies of kvæðamenn (traditional singers) operating independently in different parts of Iceland; each trying to maintain a vanishing tradition. There was little or no communication between these so there was little support and sharing of information about how this traditional singing was done, how to maintain it and make it known to the public. The first step to enhance, promote, protect, revitalise and transmit, is to stand together, share information and learn from each other – United we stand, divided we fall. Strengthen the practice by giving kvæðamenn a platform to performing and experiencing each others performance at an annual gathering. Share knowledge, practices and promote research and documentation. Provide an opportunity for workshops and for discussing different approaches to the tradition. Promote the tradition in particular in connection with the annual gathering of kvæðamenn. 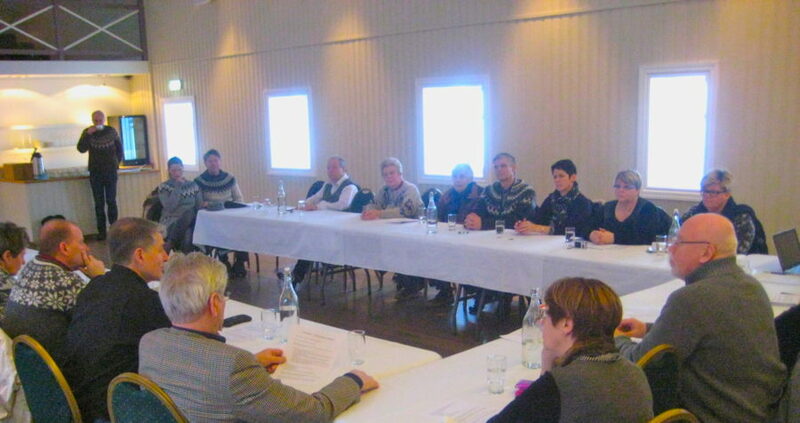 The safeguarding that took place during the initial meeting, where the association of kvæðamenn (Stemma) was created, still takes place at the annual meetings. All objectives of the project are realized each year as kvæðamenn meet to exchange ideas, perform for each other, attend workshops and discuss ways to promote and research the tradition. The project built on existing societies and thus boosted what was already there. The societies of kvæðamenn all saw the benefit of joining forces. The first meeting of kvæðamenn and the creation of Stemma was in Siglufjörður, a place that people connect with Icelandic traditional music. Siglufjörður was already closely connected to Iceland’s traditional music in people’s minds. It is the home of the Folk Music Center, the only home for folk music in Iceland, dedicated to the memory of rev. Bjarni Þorsteinsson, who is Iceland’s most important folk music collector. Siglufjörður is also the home of Iceland’s first folk music festival, where kvæðamenn are regular guests. ÞjóðList ehf/ FolkArt Ltd was founded in 2011 to support and strengthen Icelandic traditional music and dance. FolkArt's projects aim to maintain a living tradition of music and dance in Iceland by promoting research, publishing material to promote practices and creating platforms for tradition bearers to continue and develop their practices. Guðrún Ingimundardóttir is the owner of FolkArt. She is a musician with a Doctoral degree in music composition / ethnomusicology.